This area is licensed for a maximum of 30 children with 4 teachers plus a teacher support person who is extra during kai times etc. Rolling kai is offered in the preschool within set times. By keeping the group size small during these times, an intimate social setting is created. Rolling kai means that when children are busily engaged in an experience they are not interrupted straight away but have an opportunity to be more independent. 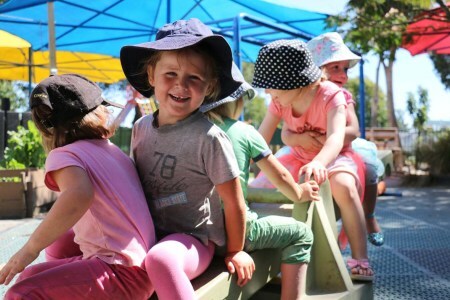 Respectful relationships – key teachers, following principals from primary care giving support children and their families to develop a sense of belonging and well being, especially for those settling into the preschool. 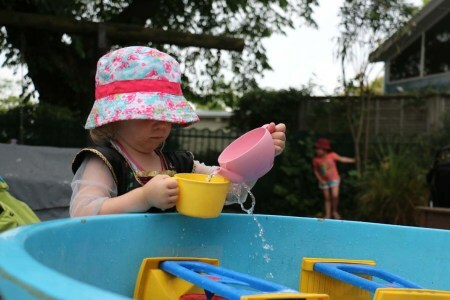 Children participate in a programme that encourages them to actively explore and develop their interests, abilities and understandings of the world. 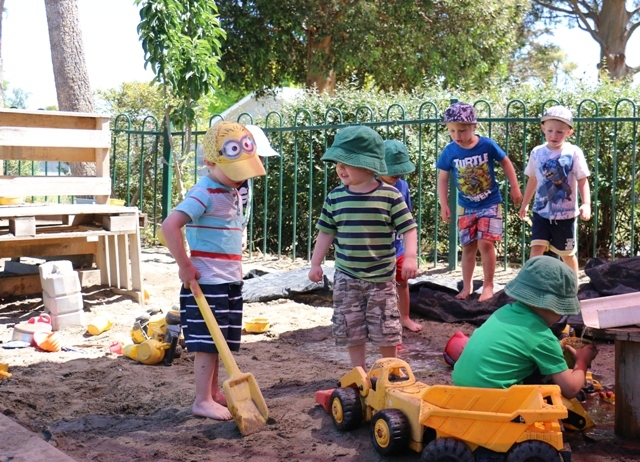 Both the indoor and outdoor environments are arranged so that children can move freely from one area to the next and engage in individual or group play.Both indoors and outdoors incorporate areas such play dough, art and creativity, carpentry, sand play, waterplay. 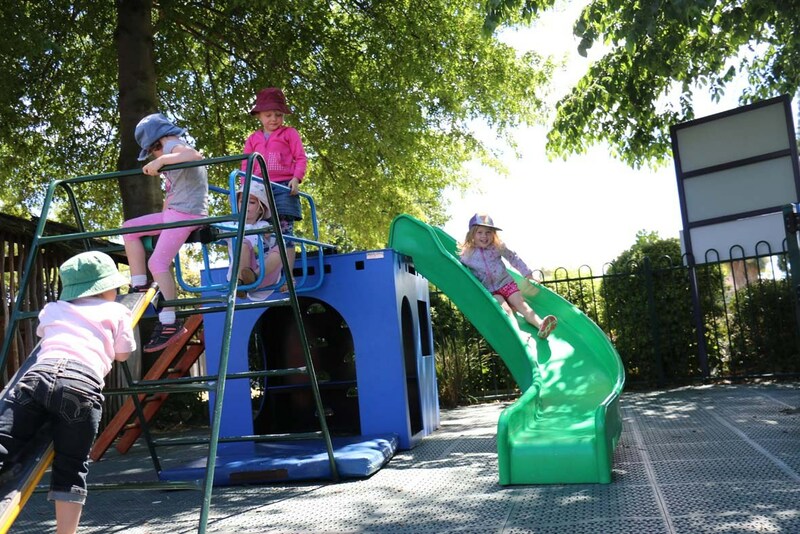 Learning is also extended out into the local community, with regular weekly trips to story time at the library, the park and the tennis courts.